**ok, so there aren’t actually any prizes. Sue me. 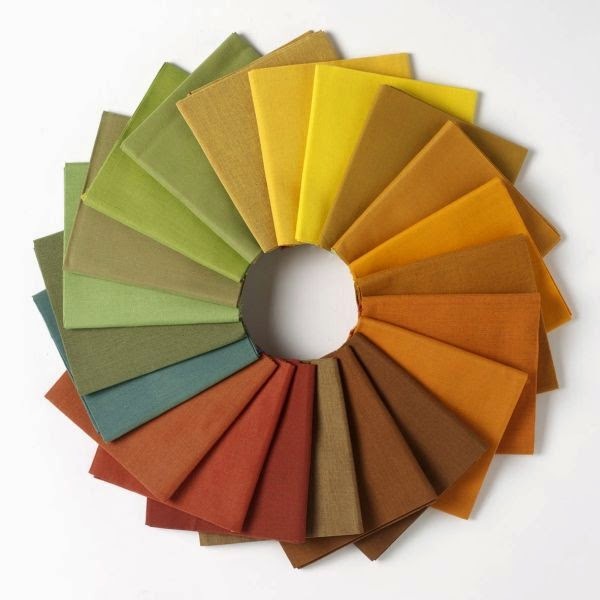 Once again I wax lyrical about the wonders of Oakshott fabrics. The shimmer, the colours, the all-round gorgeousness. Sorry if I sound like a stuck record, but it’s all true. I’ve even taken to wearing the stuff, having made an Aubépine dress from a gorgeous green I snapped up in the sale recently (photos eventually, if I can ever persuade Croydon to get her camera out). Mr Oakshott sent me an Autumn F8th bundle recently with a view to designing a quilt (#bestjobever) and I had lots of leftovers (the fabric is 60 inches wide, making a F8th surprisingly enormous). So, what’s a girl to do? The answer is, apparently, to go a little bit handstitching crazy with some needleturn appliqué and chunky quilting. The background is made up of 2 inch (finished) squares of assorted neutrals (some Oakshott, some Kona, some whatever-the-hell-was-in-the-drawer), pieced together before adding the leaves. I believe that technically you are supposed to appliqué first and piece second, but I didn’t want to risk losing all my points in the seams so I REBELLED! Of course, I could totally be imagining that you are meant to do it that way round, in which case let’s just pretend that nothing untoward happened. Once again my ridiculous stash of perle cotton came into its own, with five neutrals used to represent the swirling wind and stitching co-ordinating with each leaf. See – you can never have too many colours. This baby finishes up at 20 inches square. I’m going to need to rejig the quilt wall so I can squeeze it in there somewhere. Clara Oswald, Dr Who (is it sad that I instantly recognised that?!) Anyway, lovely quilt! P.S. No idea, even after reading the other comments! Quilting and Doctor Who obviously goes together. 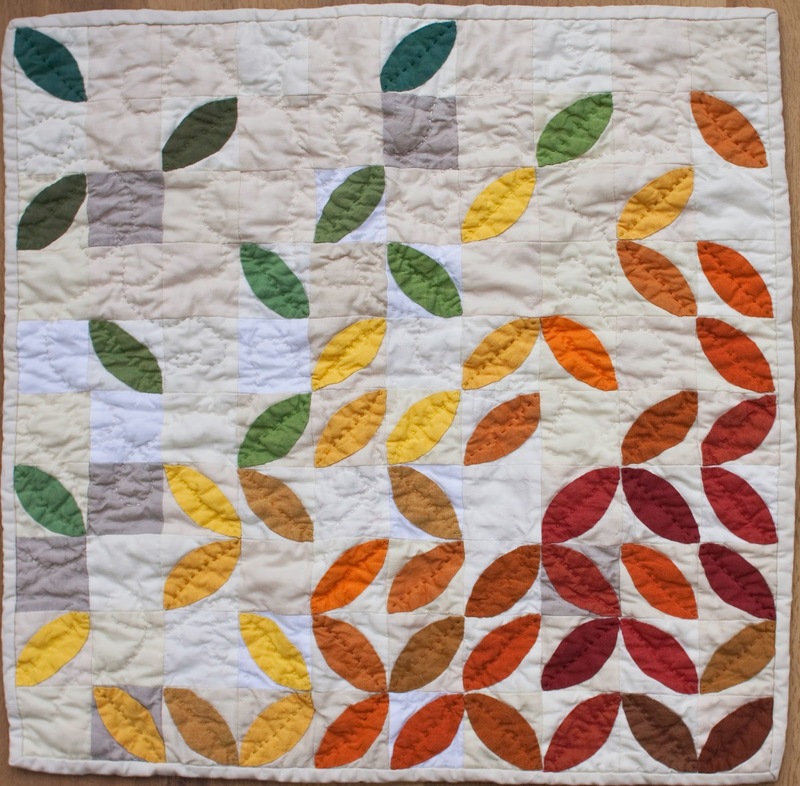 It is a beautiful quilt – I like the scrunchy autumn texture your lovely hand quilting gives it. Man, your minis are all gorgeous! I love the orange peels 🙂 I was thinking the quote came from that film where the boy comes out of the ground and is 'adopted' by that famous actress whatshername and then vines grow on his legs and each time a leaf falls off means he has helped them through something personal. Ring any bells? Anyone? Bueller? Bueller? Nevermind. I never heard about appliqué before piecing before but what do I know? I love your new mini quilt and the subtle colours of the Oakshotts. Beautiful! It will be a nice addition to your quilt wall. Which I love. 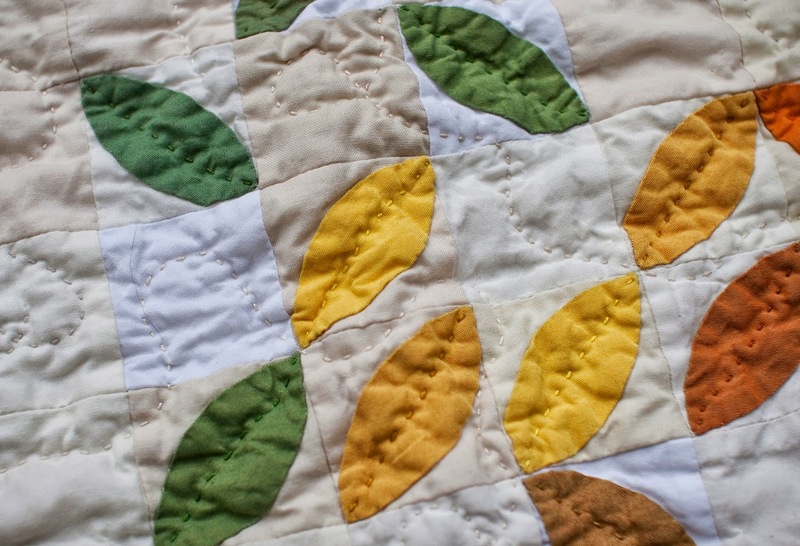 When do we get to see the quilt that the oakshott bundle was for? Oh, this is so lovely! Your mini quilt wall is enchanting. This is phenomenal Charlotte. Two things – I want to steal your quilt wall. And I literally squealed when I saw you're designing for Oakshott! You are a rockstar. Lovely mini, but must go clean my spec, thought it said Daughter and puppy FOR SALE. That bottom photo is seriously gorgeous.